Shortly after the death of King Solomon in 931 B.C., the Promised Land is divided into two separate nations: Israel in the north, and Judah in the south. Hezekiah is the second son of King Ahaz of Judah. As he comes to power, he must navigate a troubled path to reunite his wayward people with Yahweh. 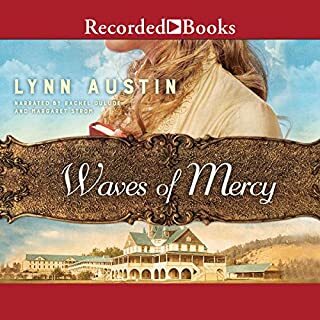 Winner of the 2001 Christy Award, Lynn Austin captures the turmoil of the Civil War in this stirring novel. From vast plantations to the cramped closets of the Underground Railroad, it follows one young woman's inspiring journey of risk and sacrifice. Fragrant blossoms herald spring, but the orchard is also a place of secrets and heartache. After the death of her husband Frank, Eliza is left with three young children and mounting debts. When a gentle stranger enters her orchard, she experiences a peculiar sensation of familiarity with the man. But will his unknown past jeopardize all that she has fought for? 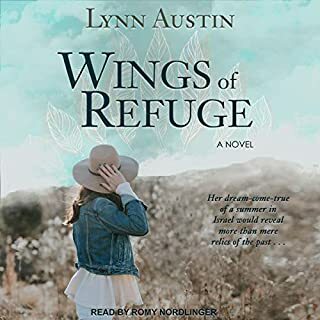 In this sweeping saga, three Swedish sisters endure an 1890s Atlantic crossing, an Ellis Island detention, and various other trials as they struggle to find love, faith, and home. First came their mother's death. Then their father's suicide. For orphans Elin, Kirsten, and Sofia, life stretches on like an endless winter. When circumstances become unbearable, they write their Chicago relatives, desperate for a safe haven. Fresh from finishing school, Violet receives a double shock. Her dad announces his upcoming wedding and then confesses an old lie - her mom didn't really leave for a sanitarium 11 years ago. But why then did she leave? Under cover of visiting the World's Fair, Violet travels to the stately Chicago home of her saintly grandmother and three eccentric great aunts. Just simply entertaining and FUNNY! While their men fight, America's women produce what's necessary for victory. In a Michigan shipyard, four female co-workers forge a strong bond of friendship that, combined with faith, helps them to overcome oppression, despair, and tragedy - and find love in unlikely places. Complex insights on personal perspective. 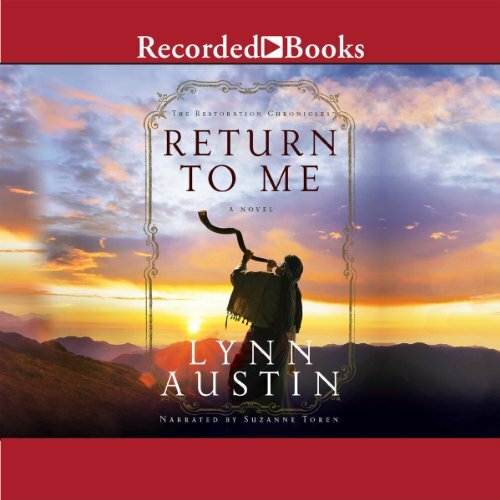 Bringing to life the biblical books of Ezra and Nehemiah, Return to Me tells the compelling story of Iddo and Zechariah, the women who love them, and the faithful followers who struggle to rebuild their lives in obedience to the God who beckons them home. I love it! My kids love it too! What made the experience of listening to Return to Me the most enjoyable? I love how Ms. Austin sticks to Scripture. There's no theological 'fudginess' in the book, so I never have to stop the book to explain things to my children. What other book might you compare Return to Me to and why? I enjoy Ms. Austin's biblical history novels the most, but Francine Rivers' Mark of the Lion series is also excellent. Have you listened to any of Suzanne Toren’s other performances before? How does this one compare? I'm not sure. Her voice sounds familiar, but when you listen to a lot of audio books, sometimes people get blurred. If you could take any character from Return to Me out to dinner, who would it be and why? Iddo for sure. What a man of strong convictions and devotion to the LORD and His word! I couldn't imagine the trouble he and real people like him truly faced in their daily battles to remain in the land and remain faithful to the LORD. This is a really encouraging book for people struggling to stand up for the LORD amidst trying circumstances. The Bible doesn't give every detail because it doesn't need to, but in listening to this book, I've found a new appreciation for those returning exiles and all the challenges they must have faced. We find that in our culture today where people don't want to listen to God's word or have perseverance in the face or seemingly overwhelming odds. The LORD was faithful then and He will be faithful now because He doesn't change. I just smile because it's a story filled with turmoil, but we know how it ends and it brings joy to the heart. My kids absolutely love listening to this book. We listen in the car and we often find ourselves just sitting at our destination because no one wants to stop the book! 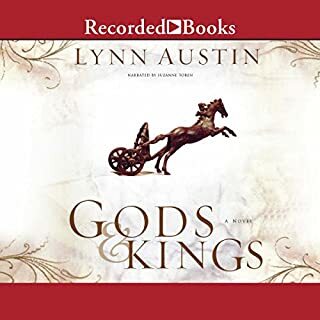 Lynn Austin's historical Biblical fiction has a way of bringing the Biblical history and prophecy narratives to life. So many things I've read and just passed by are contextualized in a way that makes me want to re-read and get a more full bodied grasp of the story lines. This narrator is one of my all-time favorites. Just an absolute pleasure on all levels. Zechariah. Just understanding the process of a young boy being called to become a priest and prophet and following this progression, imagining what that would have been like, makes it so much more tangible and accessible to my spirit. The incredible inflection and tone of her voice, excellent ability to sound like various characters and so lovely to the ear. She enhances the reading of the book. Almost weeping with joy and amazement over the victories God brings after such harrowing challenges. Highly recommended !!!! Cannot wait to get into the second book of the series. I couldn't quite give this a full 5 stars, but it only had to do with storytelling. The story was a little bit slow (but probably about as fast-paced as it could have been while still being accurate), and sometimes the dialogue didn't feel very natural. Occasionally it fell prey to the usual Christian-media problem of being slightly too feel-good or perhaps soap opera-ish (I'm not sure exactly), but the primary line of story did not fall into this rut, as it was Biblically based, and the Bible is not feel-good. It might be nitpicky, but as someone who loves stories, I can't say it didn't bother me a little. Overall, however, the story was really well done. You can tell Austin did plenty of research, and I enjoyed her characters, especially Zechariah and Yael. I will definitely be checking out the next book in the series. The story inspired me to think theologically quite a bit. I did not like the narration much. It felt like my grandmother was telling me the story, and although I love my grandmother very much, the only POV she was properly equipped for was Dinah's (Zechariah's grandmother). I might have also preferred it to be sped up. 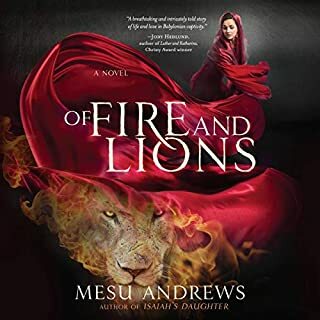 I think it would have been better if they had selected a male narrator, at least for the voices of Zechariah and the other male characters. A younger narrator might have been nice at times too. Yael was occasionally irritating in Toren's voice too. As far as her own abilities go, Toren has a wide variety of tones and it was easy to tell when she switched characters. I think she did as well as she was capable of; I simply didn't like the quality of her voice with this story. Overall, I would recommend this book if you are interested in what was happening during the times of the minor prophets in the Old Testament. Specifically, this one is obviously about Zechariah, and also mentions Haggai. I LOVED the Chronicles of the Kings series!! This just didn't have the same level of plot and depth of characters. 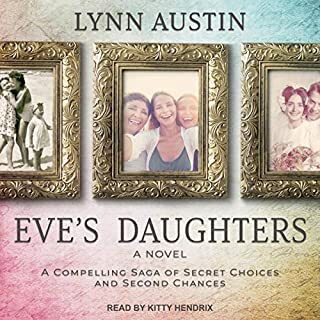 Good but not great like the previous 4 Lynn Austin books I have read. 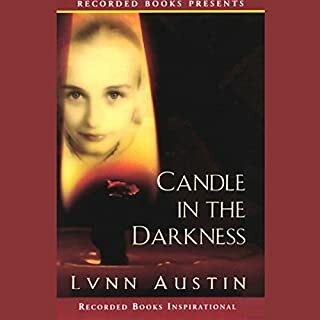 love the narrator, good book but not the best I've heard by Lynn Austin. looking forward to the next one in the series. I really enjoyed the story, there are many great lessons in the book. I felt the story dragged on a bit bit but over all it was a good book. I felt like I got insight into the ancient Hebrew experience. This book was interesting and the backdrop was spiritually engaging. The goodness of God us interwoven in these pages for a boost of faith in our own lives. Highly recommend! Characters were well-developed and when Raphie came after jael on her wedding night... Suspense was palpable! Narrator has a smooth voice. I absolutely loved this story. It brought this bible story to life and gave me some idea of the real struggles of this time. The narration was stupendous. Of of the best narrators I've heard. Will read this one again.